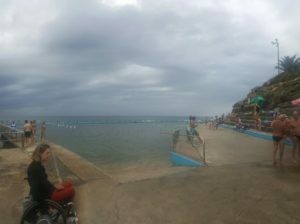 The impression as you enter Sargood on Collaroy is one of space. It reflects the attention to detail poured into the design, it’s colour coordinated and comfortably minimalist. 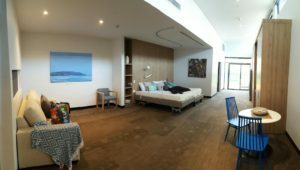 The communal areas have large seaside prints that mirror image the views from the open plan verandahs. The rooms have muted grey / brown hues with accent blues that blend the outside scape to the cosy interior. Helen pictured below with Emily investigating the facilities! 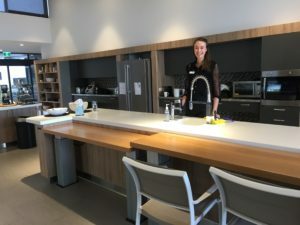 The kitchen is impressive with its height adjustable benches with enough space to host multiple families and guests but the most luxurious aspect of Sargood On Collaroy is the staff always on hand. 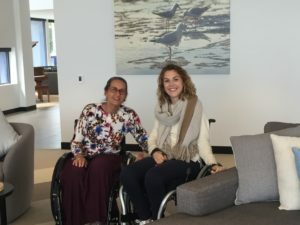 Designed with wheelchair accessibility in mind Sargood on Collaroy features 17 self-contained apartments, most overlooking Sydney’s beautiful Collaroy Beach. Apartments have integral hoists with appropriately fitted out shower-rooms. 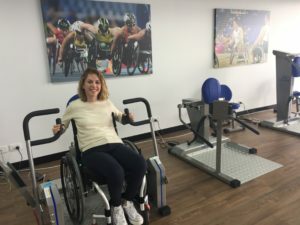 The gym is fitted with the latest bluetooth technology allowing clients with limited mobility to manage equipment unaided. Push it Emily! 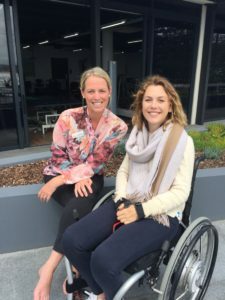 Residents have full use of all the facilities – clients can join the accessible gym currently $70 per month or casual use from $21.50 per session. There is a once only set up fee and no minimum contract period. A large sea water pool can be accessed with the staff at Sargood willing to facilitate activities. Cheer up Emily you don’t have to go in the water! 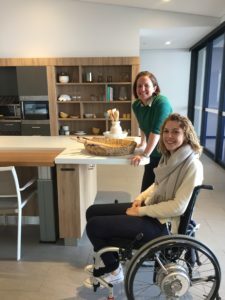 Pictured with Emily is Jessica (Program Manager) who will arrange activities for individuals so that everyone has a schedule that suits their needs. 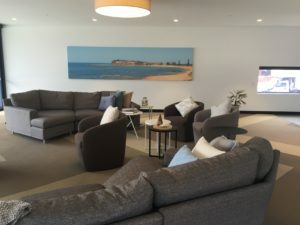 This fabulous facility is near the beaches of Dee Why and Manly which are lined with restaurants and cafes so visitors are spoilt for relaxed dining choices. Visit Sargood on Collaroy for more information on this wonderful asset. 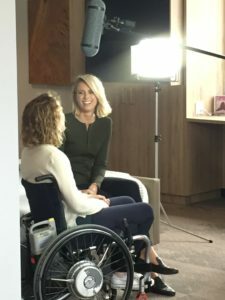 This entry was posted in Life after SCI, Lifestyle Choices, Travel and tagged accessible holiday news, Channel 9, Facilities, Gym, Holiday, Luxury Resort, Sargood on Collaroy, Today show, Travel by everydaycarer. Bookmark the permalink.